An inground spa is an excellent place to relax year round. Even in the chilliest of winter months, a hot soak is the perfect place to unwind when safely surrounded by warm soothing water. As one of the most user-friendly water amenities, an inground spa can provide a place to entertain friends or relax alone and reflect. At Aqua Pool & Patio, we deliver you with exactly what you want. When it comes to spas, the most popular type of spa we work with is an inground gunite spa. 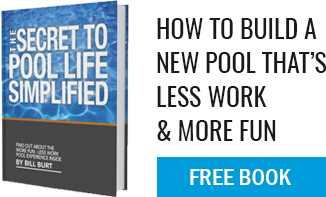 Similar to a regular pool but smaller, a gunite spa can be integrated into a larger pool to share a heating and filtration system or it can be installed stand-alone. One of the more flexible types of spas, these spas offers unlimited options when it comes to selecting the size, shape, and incorporating a variety of features. At Aqua Pool & Patio, take a look at several of our most recent spa projects to help define the vision that you have for your backyard space. Our project gallery showcases the great work that we do and is an excellent source of inspiration for your next hot soak! When it comes to building the perfect spa, selecting the right location is key. The gunite spa construction process includes excavation, forming, installation of the sub-base, steel reinforcement, and plumbing before the gunite stage. Followed by the installation of pump, filter, and heater as well as additional utilities, the last step in the gunite process is plastering before you can fill your pool and enjoy a refreshing soak! Give us a call today and let us help you find your dream spa!